Alex Audio Video distribute, resell, design, supply, install and maintain audio visual solutions for corporate and retail clients. Our mission is to consistently provide superior services and high-quality technology solutions that enable our clients to meet their goals more effectively. Our work emphasizes on responsibility and independent expertise while promoting long-term partnerships based on mutual respect. We are committed to staying ahead of technology trends and exceed your expectations by providing cost-effective, high quality, future proof audio visual solutions that feature the latest, best, most reliable and most efficient technology. 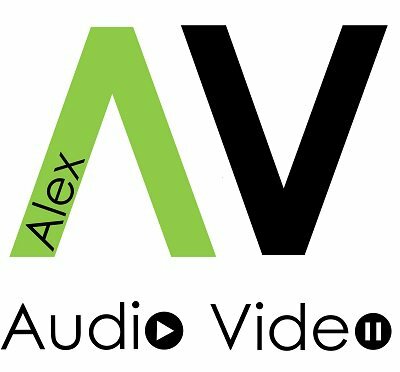 Alex Auio Video is and independent audio-visual company. Our team of consultants and engineers integrates sophisticated audio and video systems into an optimized acoustical environment. The latest audio-visual technologies is our passion as well as our job. We have experience with multimedia, entertainment, performance, and presentation technologies and their integration and performance features in varying acoustical environments and venues. Our team works closely with architects, interior designers, facilitiy managers, technical directors and associations to design and integrate custom audio-visual systems optimized for each particular venue and acoustical environment, ensuring crisp, clear, vivid, sight and sound reproduction that engages and captivates audiences. Our consultants have extensive experience designing technical systems for a complete spectrum of projects from home private houses to corporate conference centers and lecture halls. As independent audio-visual consultants, we have no affiliations with any particular brands, products, technologies, or suppliers. We design and consult independently, bringing objectivity and unbiased audio-visual recommendations and solutions. We help clients specify the appropriate technology for each situation and manage and ensure its proper installation and operation.